At least three people died and up to 40 were injured in the latest round of a militant offensive in Aleppo, medics confirmed to an RT crew, which visited a hospital following the devastating attacks. Saturday marked the second day of a large-scale offensive by militants and terrorists to break the siege of East Aleppo. The government-held western part of the city has since seen numerous rounds of shelling with missiles and mortars, reports RT’s Murad Gazdiev, who is in Aleppo. As of midday local time, three people died in the militant assaults, while some 40 more were injured. An RT crew visited a hospital in the government-controlled area, which treated those injured in the devastating shelling. 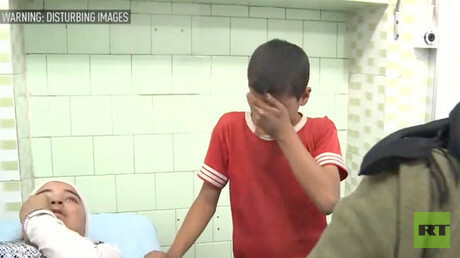 “I was heading back on my bicycle when a shell landed next to me,” a 12-year-old boy who was injured told RT. A young girl said that her father died in the explosion. “That’s it, he is gone! Please save us from them,” she said. 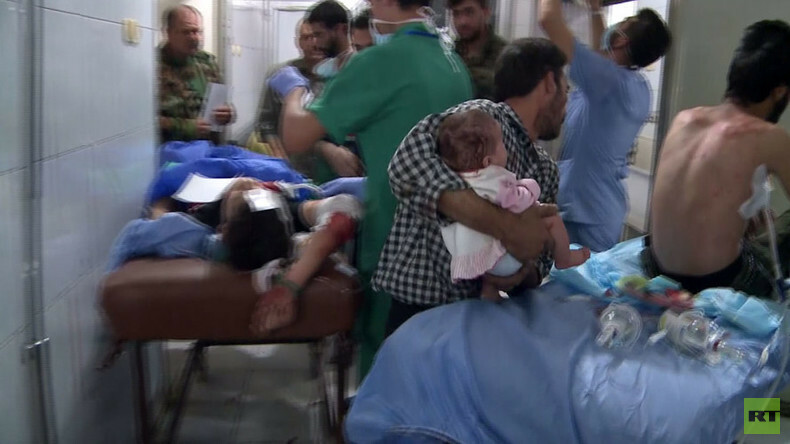 “Isn’t it a sin?” asked a man holding a baby in his hands, venting his anger at the shelling. “What can you call it? Which religion allows it? May your [terrorists’] faith, which you have brought to us, be cursed. It is foreign to us,” he shouted. According to Gazdiev, the current chaos in and around Aleppo leaves the authorities only guessing about the true body count from militant attacks. “Many deaths are going unreported. Rescuers can’t reach destroyed houses, rescue the bodies or find survivors, if there are any, under these destroyed houses,” the RT reporter said. He added that Saturday’s numbers add to 21 civilians killed and 120 more injured on Friday, according to official Syrian medical figures.